This post explores what the significance of covered eyes might mean. The following content was originally created in this thread on Reddit in /r/bloodbornethegame. All credit for the content of this post goes to /u/Torbid , with only minor changes being made to reflect the difference in format. The player has "the disease." 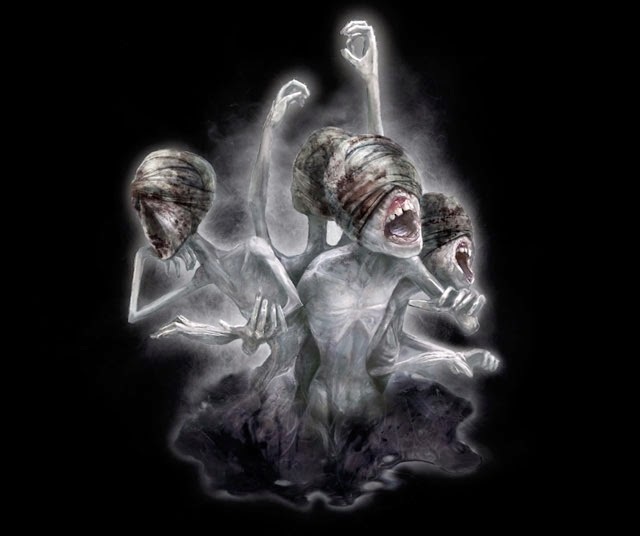 Enemies speak, and yell at the player, saying we are infected and cursed. They specifically call us "cursed beast" etc. Supposedly, the townsfolk are all infected, but don't realize this - and their infection makes them blood-crazy, attacking regular people (aka us). 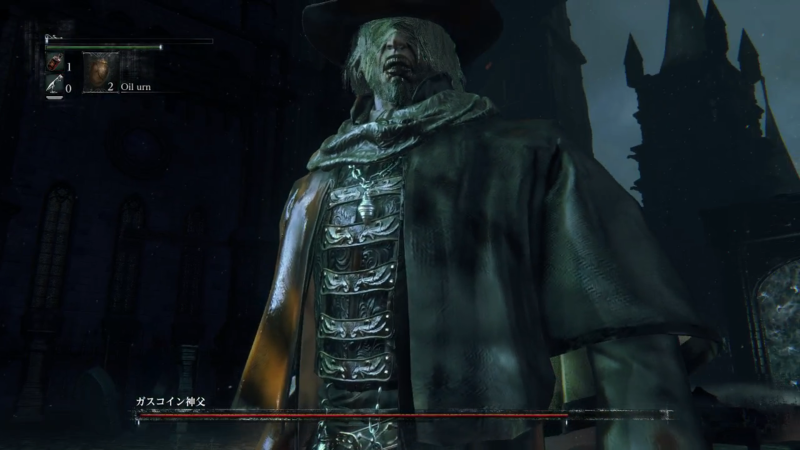 Hunter Gascoigne (however you spell it) is severely infected, and covers his eyes, apparently hunting via sense of smell/hearing. So, I think the biggest, most important aspect of the disease that we know is this: It Makes You Go Insane And Kill Everything And Think Everything Else Is Out to Kill You. We have been explicitly told that this is what has happened to the townsfolk, and is why they wander about at night, hunting and killing people. At the VERY LEAST, they perceive us as a beast-person and try to kill us (all their exclamations of "cursed beast," etc. We, of course, think the opposite - we're fine, and they're clearly infected, what with their mishappen limbs, and aggressive behavior. We think other people are infected with the disease, and are mishappen/monstrous. We think other people are out to kill us, and we need to kill them first. After all, with symptoms like that, it's the #1 thing to worry about, and it's a bit suspect to just assume we're not in the bad stages of the disease yet. THEY ARE INSANE: We are only slightly infected, and can still rely on our senses. The townsfolk are too far gone, and we legitimately need to kill them (the default, what we would assume from our initial information). WE ARE INSANE: We are much more infected than we realize, and cannot rely on our senses, for the disease is warping our perception of the world. We're slaughtering innocents, and are mad beasts who need to be put down. Quite possibly we are physically mutated, with long limbs/weird joints and messed-up faces, but we just don't realize this because of the disease. The townspeople are 100% justified in attacking us, as we look like a monster and are slaughtering them by the dozens. EVERYBODY IS INSANE: both us and our enemies are infected, and we are honestly justified in killing them, but if we come across innocents we won't realize it. I think all 3 are possibilities, but 3 being the most likely possibility. We won't know for sure if anyone we come across is actually a beast or not, and could very well be killing innocent people who are just defending themselves from a beastly terror (aka us). Vision seems to be the key trope/means of this perception mix-up. Enemies don't see us as human, we see them as mutated, etc. But some specific points lend credence to the idea that it is our vision that primarily leads us astray. First off, Hunter Gascoigne seems like a big tip, as his bandaged eyes seem quite important. I think this is a tip that he is pretty smart, and realizes that sight cannot be relied upon, and uses his hearing and smell to know what is actually going on. He doubts his perceptions and is taking steps to prevent accidents (if possible). The second point - the bandage-eyes Messengers - doesn't really prove anything, but I think it reinforces vision as an important topic in this game. It definitely seems significant, even if the actual reason is different than the reasons I've outline here. Please note that Miyazaki probably intends for us to realize these possibilities fairly early. The hints all seem a little heavy-handed, and we probably won't get a definitive answer to the question of if we are insane or not. It seems likely that we are supposed to wonder about this, wonder if every time we kill an enemy we are just giving in to false bloodlust, or legitimately defending ourselves. And who knows if our foes are not as insane as we are, even if we are insane? 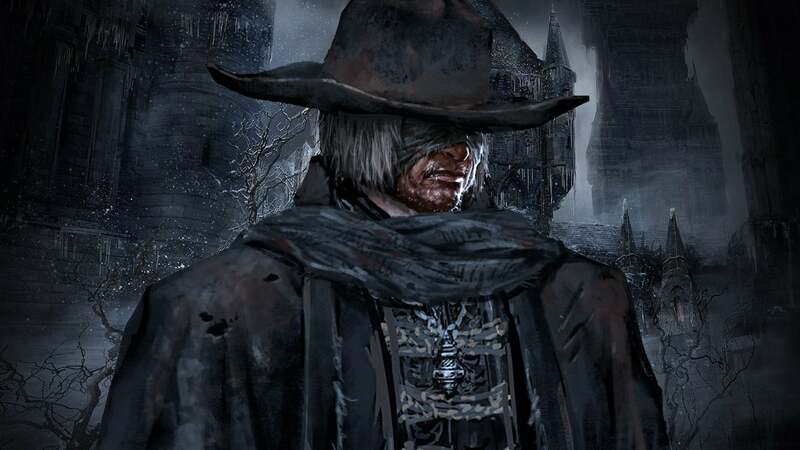 TL,DR: The player is infected with the disease, and it is warping our minds, making us perceive Yharnam as more deadly, dangerous, and causing us to kill everything, aka we're insane beast-infected monsters. Lots of little clues to this. Essentially, unreliable narrator => unreliable player. ALTERNATIVE TL,DR: We're supposed to worry about the above possibility, causing us to doubt our own actions in-game.